Hello Kylee. Thanks for being a guest on my blog today. Can I offer you a virtual cookie? Those are so much better for me than the real ones-haha. Will you please tell us what your book is about and who it is for? Do you know what it means to be a kigatsuku person? Are you currently in a “hurricane” relationship or a “bridge” relationship? Do you know what it takes to be “righteous in the dark”? Have you struggled to find your place in the world as an LDS single? Do you feel like a misfit or a menace—like a circle trying to fit into a square? If so, you’re not alone. It used to be an anomaly to be twenty-one and single in the LDS culture, but now there are entire stakes filled with single adults. In this book, author Kylee Shields explains how you can make the most of your single life, even if your current situation isn’t what you expected. 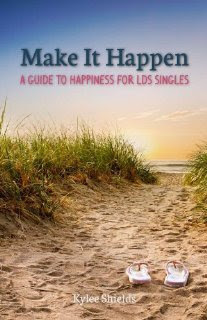 Make It Happen is a collection of principles, blog entries, stories, and conversations had on couches, floors, kitchen tables, and at many single-adult gatherings. It is filled with practical ways to make changes in your life, find hope, increase faith, strengthen relationships, and build the kingdom. Audience: It was originally written for singles from a single person’s perspective but after many great reviews it seems it is for anyone who is looking to make needed changes in their lives. I can see how it would be good for a wider audience. We all struggle with motivation and set backs from time to time. What made you want to write this book? I didn’t originally want to write a non-fiction book. I have always wanted to write a YA fiction novel. But life has a way of bringing things in and out my life and the opportunity came to put a bunch of my blogs, conversations, experiences, and essays together. Also, I have to say that my mom kept pushing to make this book happen. What would we do without moms?! And I hope you get to write that fiction novel someday. Please give us a peek into your writing life. How much time each week do you spend writing? Is your desk messy or clean? Do you have a schedule or are you sporadic? What helps you stay motivated? We want to know what makes you tick as a writer. I started blogging when I moved to Boston at the age of 26 and I love it! 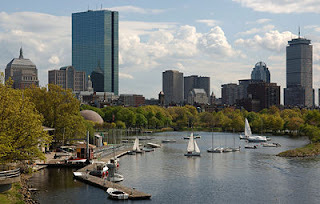 For the next few years I would blog about my travels, my experiences in Boston, my friends, and my ideas. I noticed a lot of people really relating to my blogs—people would bring them up in conversations at dinner, etc. At the same time I noticed a lot of unhappy single adults around me. They seemed stuck in a cycle of working, eating, going to bed, and doing it again the next day. They were not living their dreams or even making goals anymore. They were waiting to be married for their life to happen. I NEVER wanted to be like this. I also never thought I would be single this long. Once I started to conceptualize my blogs/stories/ideas into a book I had to go find them and gather them in one spot. I copied them all into a word document and started dividing them into different chapters or ideas/concepts. It was really hard for me to decide how many chapters and what topics were the most important. 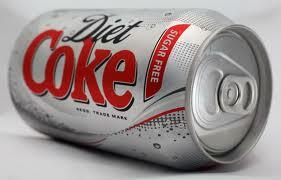 Some ideas were really important to me but not to the general population of LDS singles. So once I gathered ideas of topics I chose my chapters. Whenever I would get writer’s blog (which happened a lot) I would take lots of breaks, listen to great music, and I always went and played my piano for inspiration. I also found having lots of different conversations with other singles stimulated my writing process. The hardest part of writing this book was was deciding what to include and what to cut. I sent my chapters to many of my friends and family and asked them for their feedback, what I should cut, what stuck out to them that they loved, etc. I am really grateful for all their time and attention to detail that helped my book become what it is today. When I sent my manuscript to my publishers I had already cut many chapters. My editor asked me to to cut 12,000 more words and I ended up cutting 5 more chapters. All that cutting, switching, deciding took a long time and a lot of work. I write on a small desk that has my Mac Laptop and it sits on a sort of laptop desk thingy that props it up and makes it easier for me to type. My desk isn’t to messy but since it’s small it can get a little cluttered. 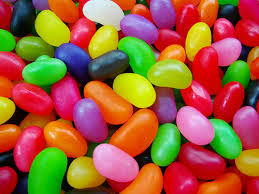 I usually drink Diet Coke and eat jelly beans when I’m writing. Thanks for sharing your process with us. I like the storyboard on the wall thing. I'm sure that would help keep me motivated and thinking about my story as well. And lucky! Living in Boston sounds amazing. Favorite stress reliever: swinging on swings Ooh, that's one of mine, too. 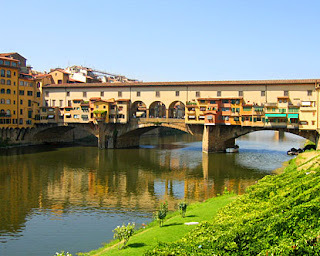 One of my favorite pieces of art that I have is a painting of the Ponte De Vecchio Bridge found in Florence, Italy. I would be smelling all things Italian, hearing that amazing Italian language, and my eyes would be intoxicated with all the different colors of the buildings on the Bridge. I think I would peer over the edge into the dirty water, close my eyes, and be so grateful to be back in Italy! I hope this photograph does it justice. I've never been to Italy. One final question: who is your favorite non-fiction author? Today it is going to be C.S. Lewis. Tomorrow it will probably be Rabbi David Wolpe, or maybe Malcolm Gladwell. I have so many but today I chose C.S. Lewis. He wrote the book, “A Grief Observed” and seemed to know exactly what it feels like to have someone you love die. It changed me and represented so many of my real emotions about death. I think it's pretty clear that you have good taste in everything. Thank you so much for being a guest on my blog today. 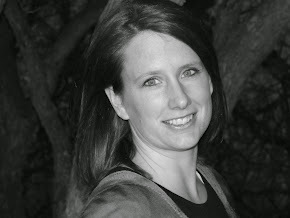 If you would like to learn more about Kylee and her book, please visit her blog. Or this one.